There’s nothing quite like the first time you see your favorite wild animal, up close and personal, be it a giraffe, elephant or alligator. And if you have kids, the awe in their eyes as you float from exhibit to exhibit makes a trip to the zoo well-worth repeating. But at what cost? Here are just some of the reasons to skip the zoo and where to go instead. Are we normalizing animal cruelty? Zoo proponents always point to two main reasons for keeping zoos open: conservation and education. 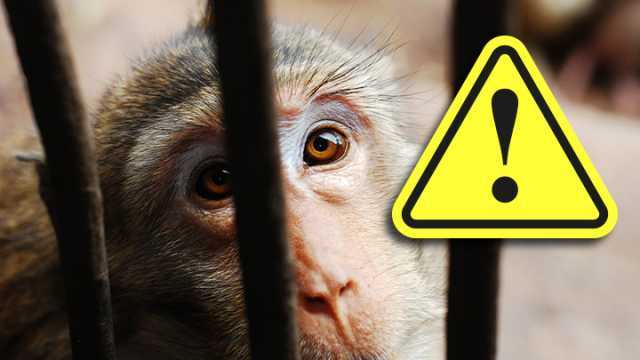 And yes, on a rare occasion, you’ll hear reports about zoos helping to bring back an animal from the edge of extinction with the Species Survival Program (SSP). So, for these reasons, it seems like a zoo is still the best way to instill a sense of respect for wildlife amongst youngins. However, we argue that it actually normalizes animal entertainment — something that the next generation could try to fix rather than propagate. Here’s some research to back up our theory. In one study, researchers found that 86 percent of visitors went to the zoo for “social or recreational purposes” rather than for educational reasons. In another study at the Lincoln Park Zoo, 338 visitors were tracked as they walked through the exhibits. Researchers found that 41 percent of their time was spent staring at the animal, while only nine percent was spent reading interpretives and signage. Sounds like education isn’t exactly a priority for these visitors. In an interview with National Geographic, former zoo director David Hancocks said that less than three percent of a zoo’s budget usually goes towards conservation efforts. The rest? High-tech exhibits that fool crowds and marketing to draw people in to see the latest attraction. Think of the last time you saw a penguin exhibit. Strip away the Antarctic backdrop and the painted concrete rocks and you’d see the exhibit for what it really is — a barren room completely devoid of anything close to a penguin’s natural habitat. It’s no wonder that bored and socially isolated animals develop zoochosis, a mental condition characterized by compulsive, repetitive behavior while in captivity. Anxious and depressed animals are easy to spot once you know what to look for. Elephants swing from side to side, caged birds pick their own feathers out and leopards pull out their fur. You’ll also see swaying, pacing, biting bars, self-mutilation, swinging limbs and hair plucking. So, the next time you see an animal doing an adorable “dance” at the zoo, you know the disturbing truth. Polar bears on Prozac, penguins on antidepressants, what’s wrong with this picture? 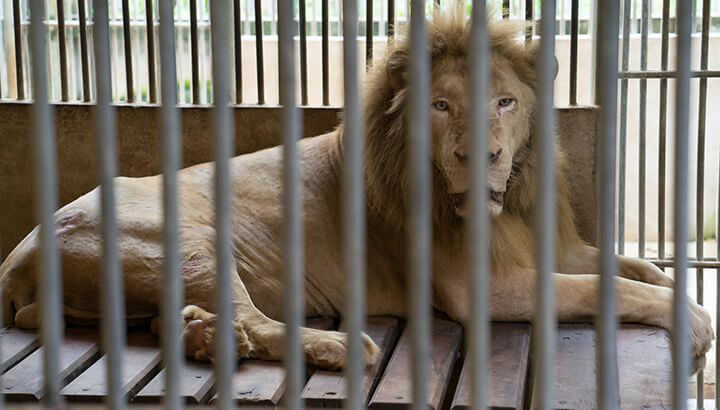 There’s no doubt about it, animals suffer in captivity. And when enrichment (puzzles and games) isn’t enough, zookeepers must prescribe medication. So, the next time you see a zoo animal lounging by his pool in a serene state, realize that it’s probably the result of a chemical cocktail at breakfast, and not how happy he is to be there. It all comes down to money. What little social connection zoo animals have is often disrupted by zoo programs in an effort to keep their wildlife collection fresh and exciting for visitors. Zoo breeding programs also move animals around in search of a genetic match, disturbing delicate animal packs and families in the process. In Laurel Braitman’s book, “Animal Madness: How Anxious Dogs, Compulsive Parrots, and Elephants in Recovery Help Us Understand Ourselves,” she tells the story about a zoo gorilla named Tom. He was transferred from his home zoo because he was a match for a gorilla at another zoo hundreds of miles away. However, at his new home, Tom was abused by the other gorillas and subsequently lost a third of his body weight. Eventually, he was sent back home and nursed back to health, only to be sent to another zoo later on. When his zookeepers visited him at the new zoo, Tom ran toward them sobbing and crying. Yes, a gorilla was sobbing and crying. Zoo animals need a complex diet, and zoos often fall short of providing it for them. The gorillas at Cleveland Zoo, for example, are dying from heart disease. And a study found that at least 40 percent of African elephants in captivity suffered from obesity. Daniella Chusyd, a doctoral student at the University of Alabama at Birmingham who headed the study, told Phys.org. “Much as we see in humans, excess fat in elephants contributes to the development of heart disease, arthritis, a shorter lifespan and infertility.” Obese elephants simply can’t reproduce at the rate needed to sustain the population — six calves a year. So much for conservation. Zoo animals are stuck in cages for life. There’s a reason we all get a little excited whenever we hear about a zoo animal escaping — many of us are hoping it’ll find it’s way back to the wild! However, the grim reality is that it will most likely be shot by authorities, like what happened to these two bears last month. Even if animals aren’t trying to escape, there’s always a risk of death to protect the public, like what happened to Harambe the gorilla last year. When the only two choices are life imprisonment or being shot and killed, you know there’s something wrong with the system. Many privately-owned facilities may not meet space, nutrition or social requirements for the species they are housing. See if your local zoo or aquarium is one of the 232 accredited facilities here. In addition, you should always feel empowered to ask animal care staff about any species or exhibit that you see. If you see an animal being mistreated, file a complaint with the staff. If they don’t do anything about it, take it to social media or file a complaint with PETA. Instead of going to the zoo, try snorkeling or visit a beach. Head down to the beach. Depending on where you live, you may be able to spot dolphins, sea otters, whales and more. Explore a tide pool, creek or river. Spend an afternoon finding creatures in your local area, large and small. 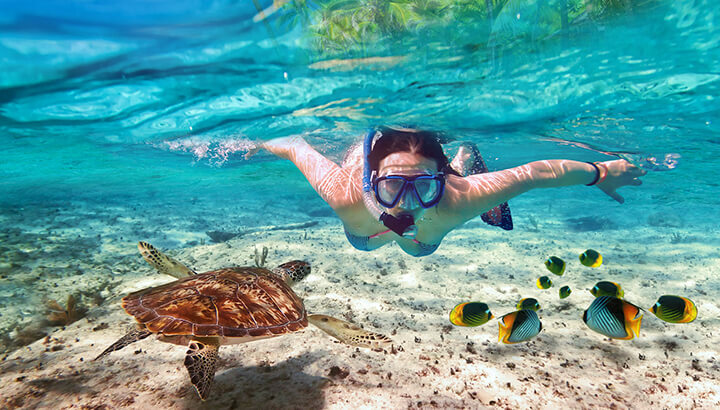 Take a snorkeling trip. Plan a vacation with your family to the nearest coral reef to see fish, eels and sea turtles up close. Go bird watching. Grab a pair of binoculars, a picnic lunch and a bird guide, then head outdoors for a little adventure. Volunteer at an animal rescue center. If you’d like to take your love of wild animals to the next level, consider volunteering your time to help rehabilitate injured animals in your local area. Visit a national park. In addition to spotting wildlife, you’ll have the chance to get vitamin D from the sun and a boost from endorphins from the exercise. Find a state park near you here. Go whale watching. During migration season, spend the day on a boat with your family. You’ll often spot seabirds, sea otters and seals along with whales. Spend time at an animal sanctuary. This is the best way for visitors to interact with animals in a natural setting while getting a great education. Find one near you. Make your backyard wildlife-friendly. Bring the animals to you by planting milkweed for butterflies and putting out seeds for birds. Get a little creative and you’ll be able to stay away from the zoo for good. Remember: a life in a cage is no life at all. Instead, see wild animals where they belong — in the wild. Hey Buddy!, I found this information for you: "6 Shocking Reasons You Need To Rethink Your Trip To The Zoo (And Where To Go Instead)". Here is the website link: https://www.thealternativedaily.com/reasons-to-skip-the-zoo/. Thank you.